Make him feel extra special with personalized wall art. 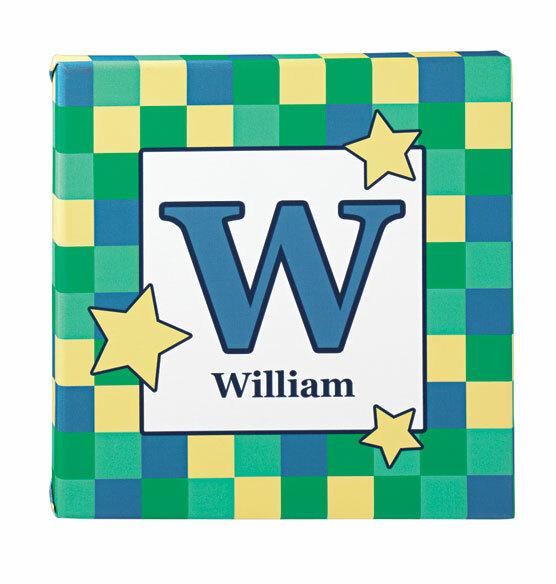 Wraparound canvas includes the child’s initial and full name, along with a colorful star and checkboard motif. 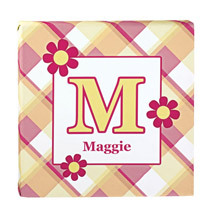 Perfect for adding a pop of color to his room and helping him learn to spell his name. Coordinates with the Welcome Baby Rug for a pulled-together nursery ensemble. Great gift idea for children and grandchildren.